When it comes to jewelry, Rihanna said it best: “Shine bright like a diamond.” However, not all of us have Rihanna’s bank account. Luckily, as dainty, simple jewelry has taken over the market, there’s hope for all of us to add a bit of sparkle into our wardrobes. Because tiny but mighty diamond earrings are possible to find under $100… You just have to search high and low on the internet. Luckily for you, we did, and we found 10 pairs of diamond earrings you’re going to love. There are, however, a few catches. A hundred dollars will most likely only allow you a single diamond earring, simulated diamond earrings, or even different-colored diamonds. Don’t get discouraged; take this as the perfect opportunity to elevate your piercing game and mix your current favorites with new diamond picks. 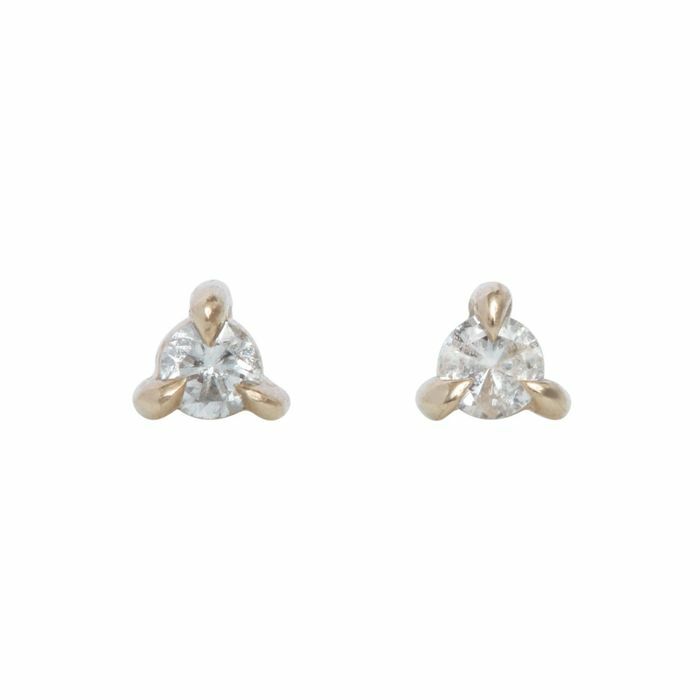 Because a little diamond earring can go a long way. Keep your mind open and embrace the dainty earring trend with the selects ahead. PS, we also added a few diamond hoop earrings in there just in case. These hoops will always add the right amount of shine to your outfits. An elegant addition to your jewelry collection. Your new go-to diamond hoop earrings. One can never have enough hoops. Perfect for your layering game. Why not try black diamonds? Here's how to clean your new diamond earrings.